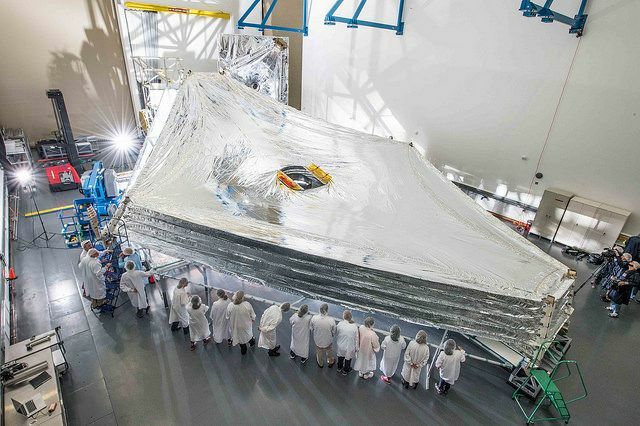 The long-anticipated James Webb Space Telescope is a few steps closer to launch, after being subjected to a series of rigorous space-readiness tests in the world's largest "clean room" at NASA/Goddard Space Flight Center. Today NASA offered members of the public a peak into that giant chamber, and the preparations being made on what--if all goes well--will become the largest telescope ever sent into space. The Webb is scheduled for launch from French Guiana in October 2018. 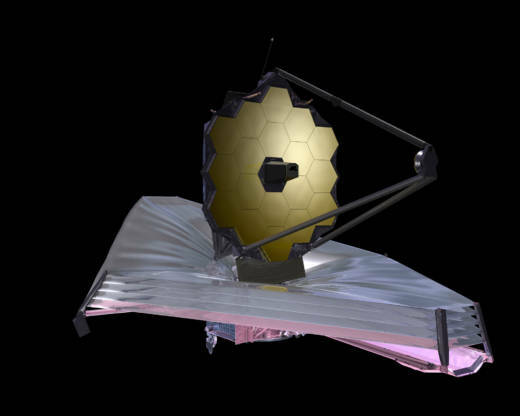 An international collaboration between NASA, the European Space Agency, and the Canadian Space Agency, the James Webb Space Telescope is the successor to NASA's Hubble Space Telescope. 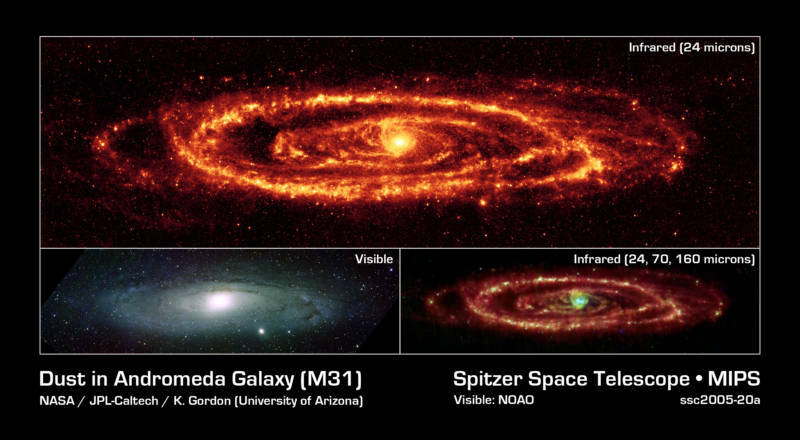 And anyone aware of Hubble's scientific achievements can imagine what Webb might open our eyes to. In its 27-year career, Hubble has probed invisible "dark matter" in space, found supermassive blackholes in the cores of galaxies, defined the age of the cosmos, glimpsed some of the most distant objects in space and time…and the list goes on. Hubble is a tough act to follow. So what's different about Webb? The size! Hubble's primary light-collecting mirror has a diameter of 8 feet. Webb's primary mirror, an array of 18 hexagonal sections of light-weight, gold-coated beryllium, measures over 21 feet across! Part of the reason for Hubble's relatively small primary mirror is that the entire telescope had to fit inside the cargo bay of the Space Shuttle that carried it into orbit. If Webb's much larger mirror were a single piece of material, getting it into space would be an almost insurmountable engineering challenge. But Webb's multi-mirror design allows the array to be "folded up" into a compact space. Once Webb arrives at its destination, the mirror sections will open up and fit together into a single functional mirror. Hubble is a "visible light" telescope, observing light with wavelengths visible to the human eye. The source of visible light in the universe is primarily hot things, like stars—and by extension galaxies, which are composed of stars. Webb is an infrared telescope. Its suite of light detectors—cameras for capturing images, spectrometers for analyzing chemical composition—are sensitive to lower-energy infrared light. So, Webb will observe emissions from cooler objects, like molecular clouds containing organic molecules, disks of material forming new planetary systems, and the atmospheres of distant extrasolar planets, to name only a few. The venerable Hubble orbits the Earth, only 300 miles above our planet's surface—so at any given moment, half of Hubble's view of space is blocked by a huge, glaring planet. And since Hubble makes an orbit every 95 minutes, it can only observe a celestial object for less than an hour before its line of sight is blocked by the Earth. Webb will orbit the sun at a special location called Earth's "L2" Lagrange point, a million miles farther out. At the L2 point, the Earth and the sun work together to form a sort of gravitational "pocket" in which a spacecraft can remain almost stationary with very little assistance. Webb will move along with the Earth as they both orbit the sun, like a balloon tethered to a running child, and not wander off to some distant place in the solar system. Since it's not orbiting the Earth as Hubble does, Webb's line of sight to celestial objects of interest won't be routinely cut off—and at a million miles away, Earth doesn't block much of the view. Webb is also equipped with a tennis-court-sized sun-shade, which will shield it not only from the Sun's intense radiation, but also from the infrared emissions of the Earth and moon. Keeping Webb cool is critical to its ability to sense the faint infrared emanations from distant objects. If warmed by the sun, Webb's own optics and sensors would glow with infrared light, thus seeing those faint objects would be difficult—like looking out a window on a nighttime scene from inside a brightly lit house. What Will Webb Show Us? Hubble has observed some of the most distant galaxies in space—and since it takes time for their light to travel to us, the farther away they are, the further back in time we see them. When we look at a galaxy that is a billion light years away, it is sort of like watching a video that was recorded a billion years ago. Webb will see further back in time by observing infrared emissions of the gases that eventually formed the earliest galaxies, before their stars were born and began emitting visible light. Closer to home, Webb will analyze confirmed extrasolar planets—especially exoplanets similar to Earth in size and distance from their star. 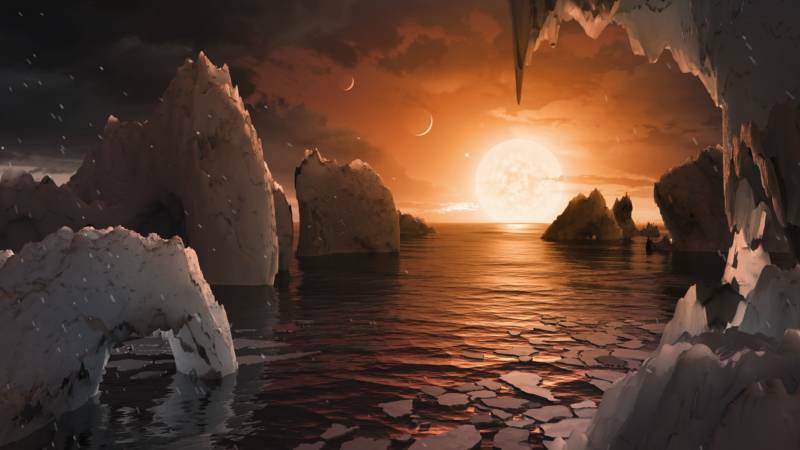 Recently, seven approximately Earth-sized planets were confirmed orbiting the same star, only 40 light years from us. Three of these planets are at the right distance from their star, TRAPPIST-1, that liquid water could exist on their surfaces. Webb will look for infrared emissions from exoplanet atmospheres—if present—and analyze their chemical compositions. If a planet has a liquid water cycle, then there should be water vapor present in its atmosphere. And, if it possesses life, there should be chemical telltales of its activity, such as molecular oxygen or methane. 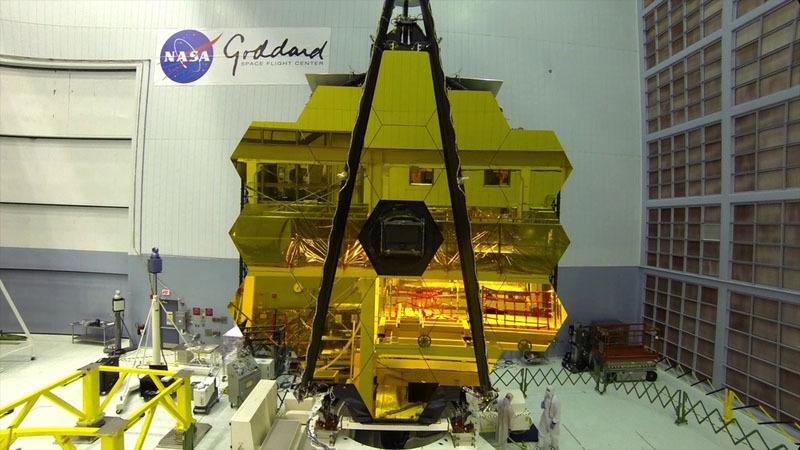 The James Webb Space Telescope still has a few tests to get through before it is certified space-worthy—just like an astronaut being examined by the doctor who will give them a thumbs-up to launch—but the cosmic revelations it may ultimately bring should be well worth the wait.